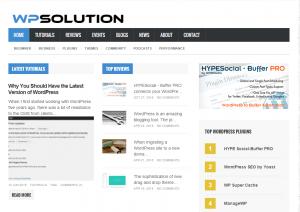 WordPress Solution – WPSolution is a community-driven website focused on all things WordPress. We have launched this website in order to provide solutions to common problems that people have using WordPress. However, over time we are planing to evolve into an interactive community with reviews, a member forum, submitted contributions and so much more.